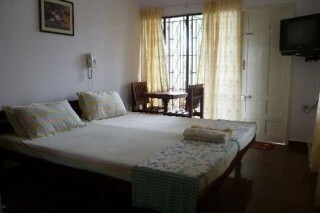 Situated 600 m from Beach Walkway, this is an offering of a room in a homestay, which can accommodate up to three people. 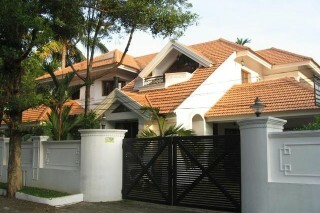 This charming abode is suitable for couples and small groups. Parking is available, as are the services of a caretaker. Your Space Set in rustic, sylvan surroundings, the beautiful home is located in a beautifully landscaped surrounding in Fort Kochi. The bedroom on offer is furnished with a bed, a television, and a coffee seating for added comfort. The bathroom is fitted with western sanitary ware. Although this was to be a cottage like stay experience, we got to know on reaching there that larger members booking would be accommodated into the hotel rooms instead. Either way, the rooms were decent with cable TV and hot water when needed. It is very close to the beach side and the exhibition points of Kochi Bienalle which was happening at the time. There was complementary breakfast, but was not very tempting, but we helped ourselves to the kitchenette and got the kind of breakfast we wanted. The staff was friendly and helpful regarding any info we needed about the surroundings. It's a decent place to halt of all you want to do is have a good place to sleep at the end of the day.